I like his look and I think that's a BMW ... I like that, too! (BMW fangirl here ). Don't think much of the text, 'cause Daily Mail and anyway it's all just gossip until Dan or the brass confirms it. bumblebee wrote: Longer hair. He looks like such a Brit abroad! Love the sea shots, wonder if he took a tinkle! I'm happy to see them relax together! They both look fab! Dunda wrote: Thanks to A! 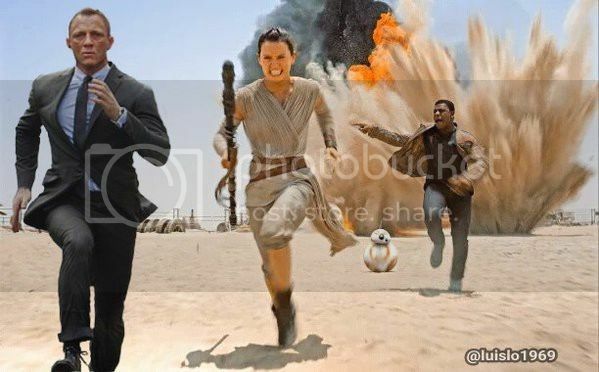 I'm just back from watching The Force Awakens and OMG, Daniel's cameo was great!!! The scene was great and the audience was laughing really hard. I'm sure this will become an epic Star Wars scene! Topic: There's your playground, Ladies - GIFS!